If you like to “leaf peep” during the autumn, you’ll want to take advantage of the spectacular show put on by Mother Nature here on the Gunflint Trail. 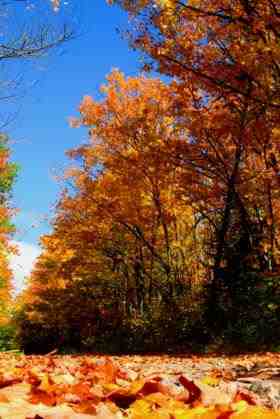 Our boreal forest transitions into fiery reds and shimmering yellows and golds. This backdrop is enhanced by the crystal clear waters of our many lakes, treating visitors to a splendor rivaling anything you might see in more popular destinations like upstate New York. Late August through mid-October our cabin rates at Clearwater Historic Lodge & Canoe Outfitters are at their lowest, the weather is still beautiful (usually! ), and the crowds of peak season have moved on. If you prefer a quieter getaway, fall can be the perfect time for you to visit. Often the weather is ideal for canoe day trips or for spending the day on Clearwater Lake with a fishing pole. A cozier experience in front of our lodge fireplace or tucked away in your lakeside cabin can be a wonderful respite, too. This is an ideal time for star gazing, as our pristine skies are at their clearest. 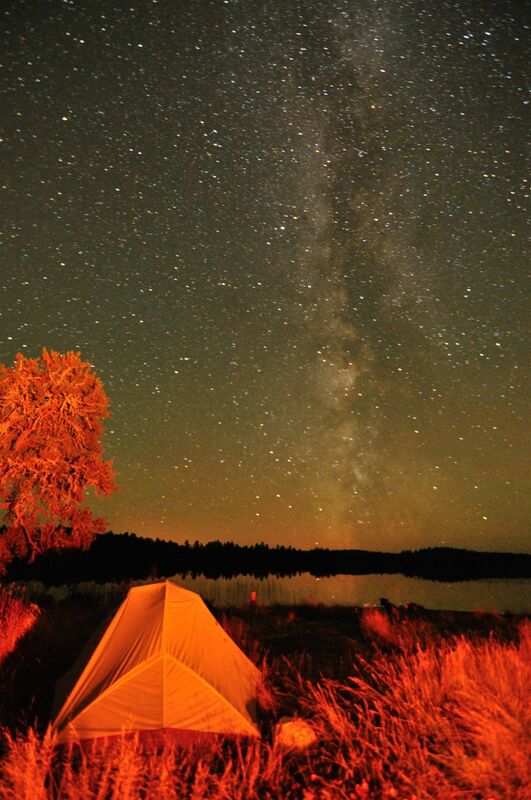 City dwellers will be amazed to look up at night in our remote area of northeastern Minnesota, where the skies are truly dark and clear. If you are fortunate, you’ll get the opportunity to see the aurora borealis in action. To check our Fall availability and pricing, visit our Accommodations.